Do you own a home in the Jackson, New Jersey, area? Are you looking for a way to add on valuable living space and possibly even increase the value of your property? If so, you may want to consider having one of our top-of-the-line screen rooms installed at your home. At SRA Home Products, we proudly install screen rooms manufactured by industry leader TEMO, and we’re confident that our screen rooms are the best choice for your home. TEMO is well-known for building screen rooms that are strong and durable, as every enclosure is constructed from heavy-duty, fully extruded aluminum. This remarkable material is stronger than wood, vinyl, and roll-formed aluminum, and also resists rotting, deterioration, and insect infestation. 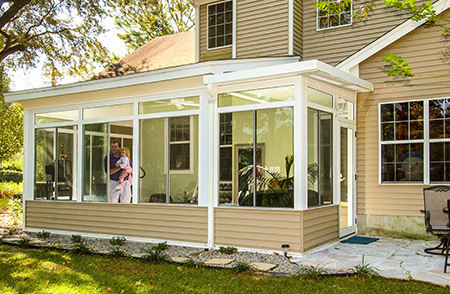 Plus, thanks to TEMO’s exclusive TEMKOR polymer coating, their screen rooms won’t scratch, crack, dent, or incur any other type of damage common to outdoor living products. Additionally, you’ll be able to customize your TEMO screen room exactly as you’d like. We carry two standard screen room models: studio (featuring a gentle roof pitch) and low cathedral (featuring an elegant vaulted ceiling). 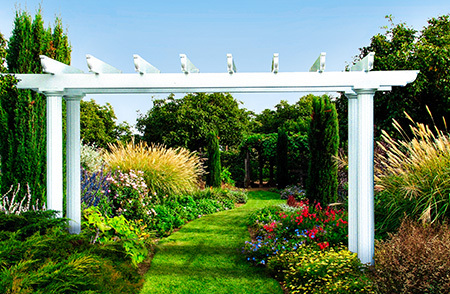 For those customers who are seeking to enclose a gazebo, porch, or other structure, we offer a vertical retro option. 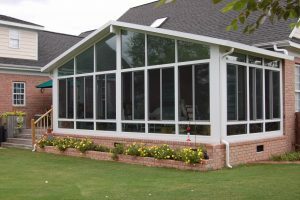 Customers can also select the color of the screen room frame (white or sandstone), the type of screen to be installed (fiberglass memory mesh, solar insect, no-see-ums 20×20 fiberglass mesh, or pet), and the color of the vinyl sashes (clear, smoke grey, dark grey, or bronze). For more information about why the screen rooms we install outshine the competition, please contact SRA Home Products today. We proudly serve homeowners throughout Jackson, NJ, and we look forward to working with you on your next project.